Every wedding is special, whether a small intimate gathering or a lavish affair with all the trimmings, it will be a day to remember forever. 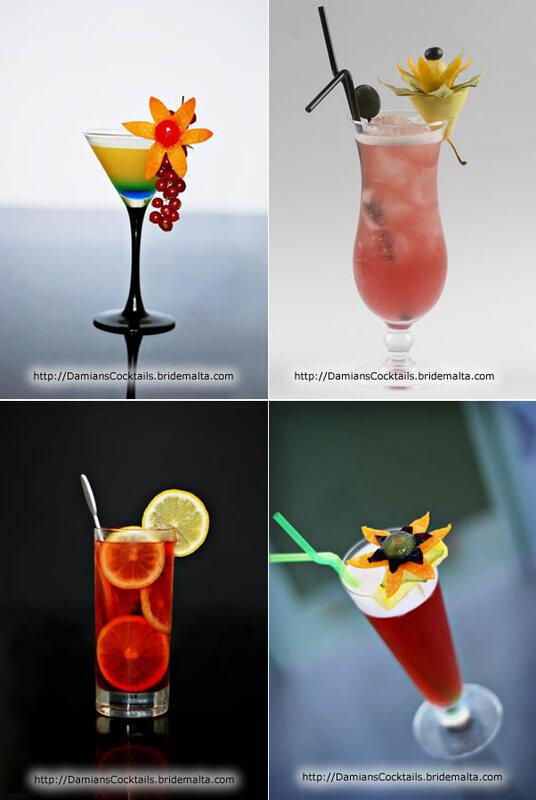 A cocktail bar is the symbol of style and fun; a centrepiece at your function where guests can socialise while trying out a wide assortment of colourful and tasty cocktails prepared by highly skilled and amicable specialists. 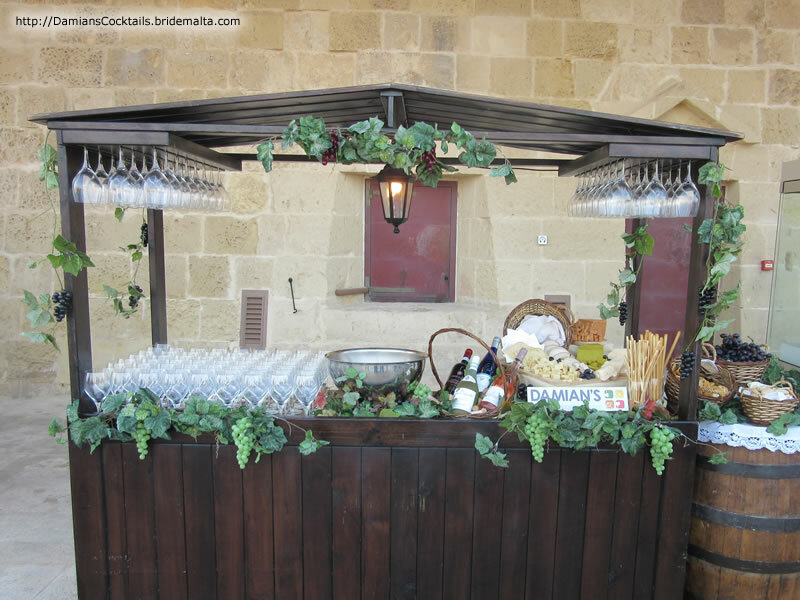 With over eighteen years of experience at wedding receptions and just about every other type of function besides, Damian’s Mobile Cocktail & Wine Bar promises to be the detail that makes all the difference between an everyday event, and a truly memorable occasion that people will remember fondly for years to come. 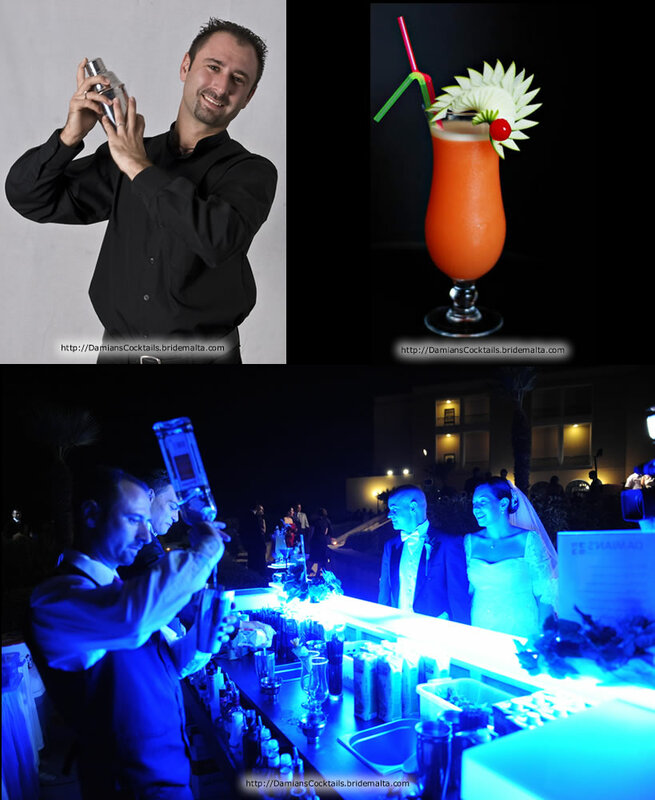 You see, it’s not just about serving drinks and making delicious cocktails, but setting the scene for a magnificent event with a studied touch of effervescence and flair. Kick of your wedding or event in style! 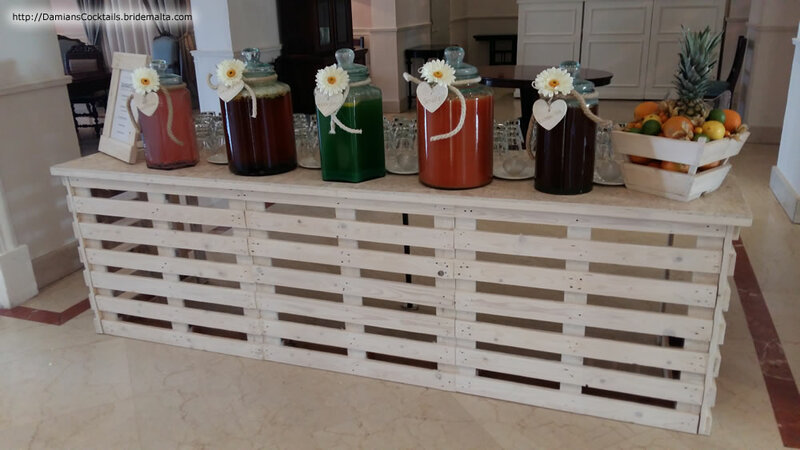 The Punch Bar concept offers and entertaining and enjoyable experience when welcoming your guests, with an array of mouth-watering freshly made punches. 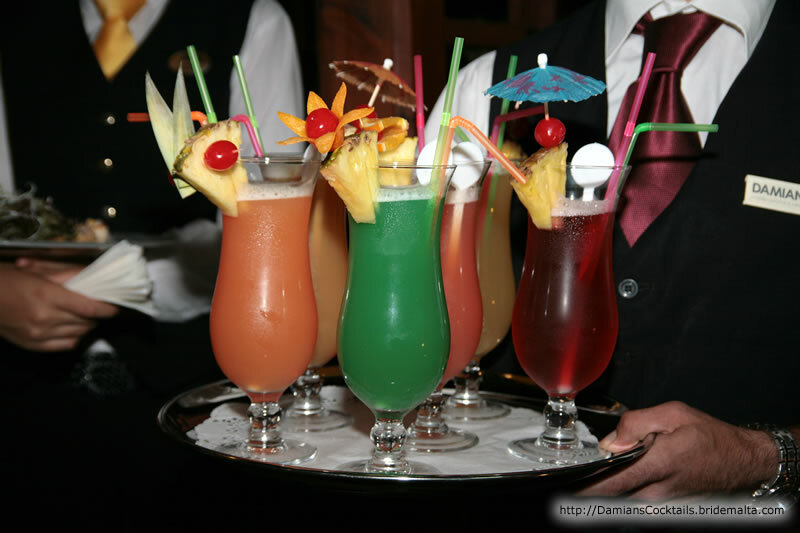 The ideal welcome drink for a hot summer season. 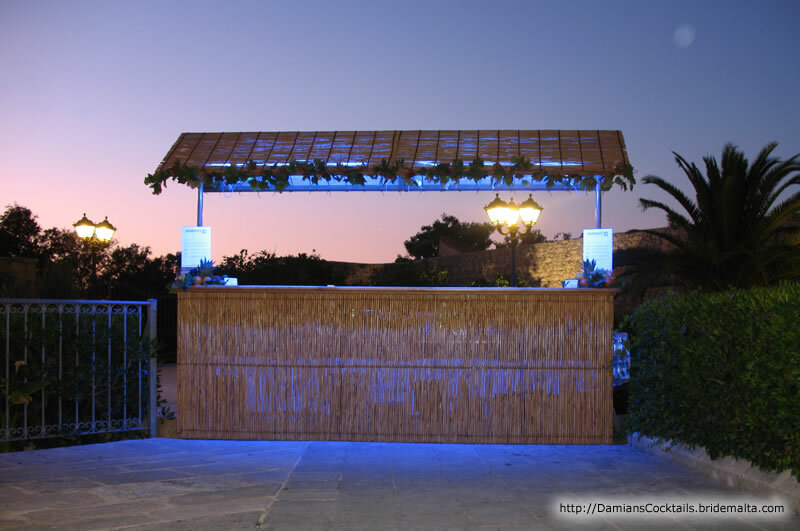 Ideal for an outdoor summer function, this tropically themed bar adds a generous dose of colour and ambiance to your event. The bar includes a detailed cocktail list, elegant glassware, and a variety of eye-catching displays. 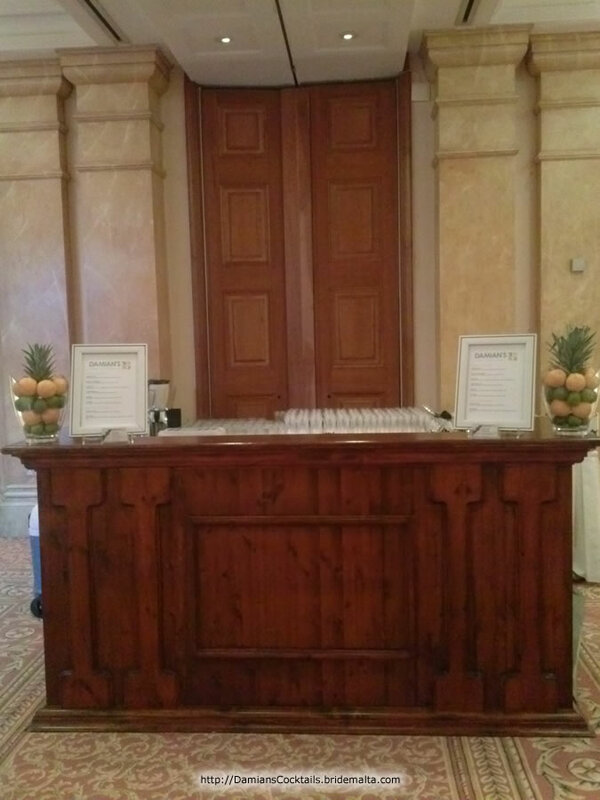 Equally suited for indoor as well as outdoor venues, the Classic Bar is a stylish centrepiece where professional cocktail makers work their magic with nimble hands. 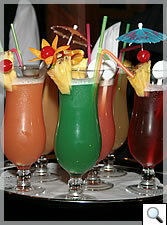 Guests are provided with a diverse cocktail list, elegant glassware, and impressive displays. 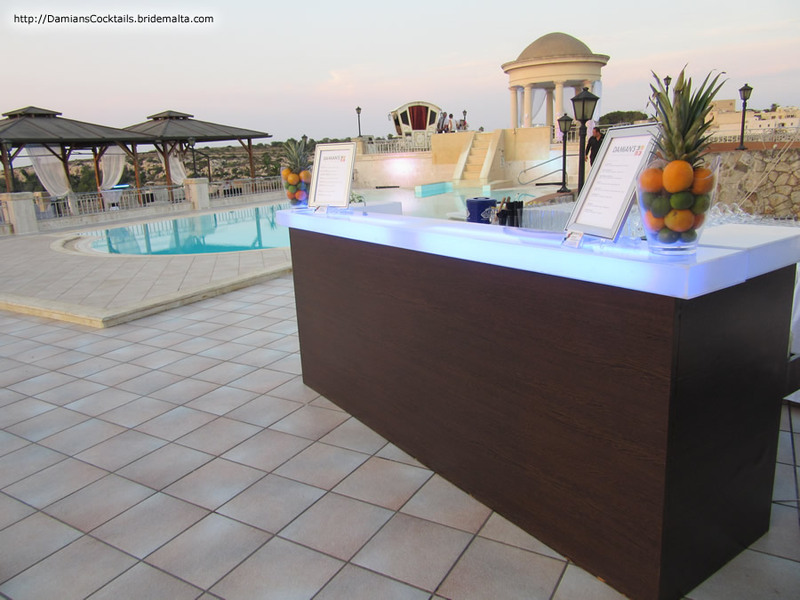 With it's sleek and contemporary look, the Modern Bar never fails to attract attention and quite literally lights up any function with its glowing top. Fully stocked and manned by skilled professionals, the Modern Bar is greatly entertaining and hugely photogenic at the same time. 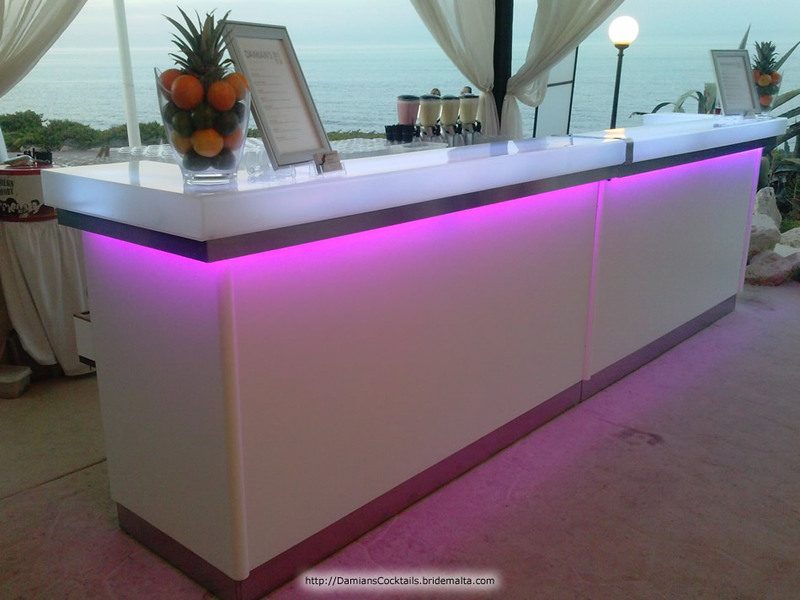 With hundreds of colour combinations, the glowing bar will not only ensure a fun and vibrant atmosphere, but will set the scene that makes the difference between an everyday event, and a truly memorable occasion. 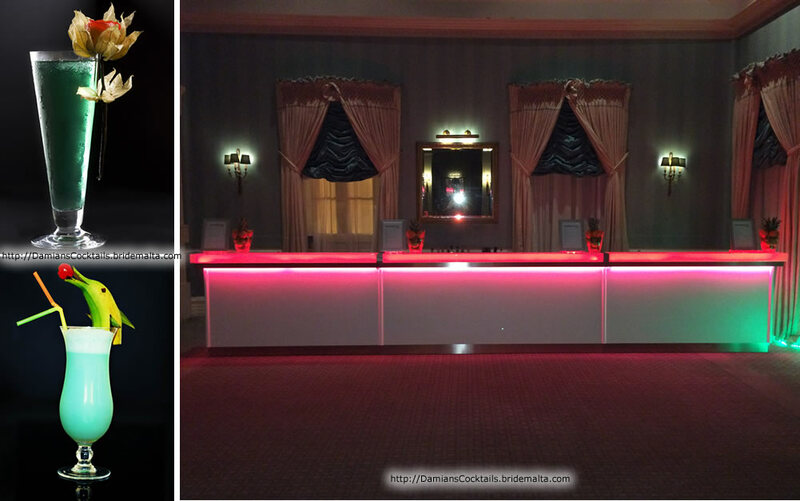 Lights can be adjusted to any colour theme desired. 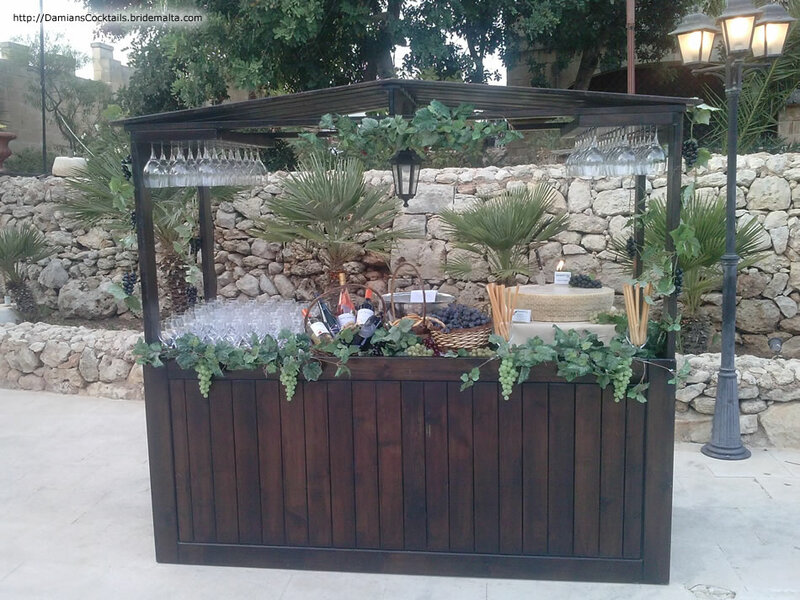 Bar length is also adjustable depending to your event requirements. 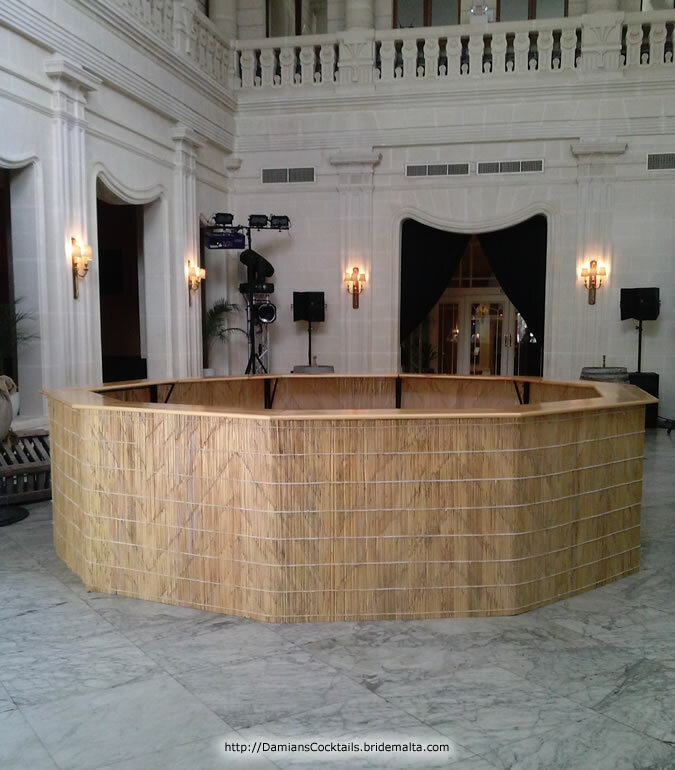 Totally closed from all sides, our tropical round bar is ideal for any Summer party, beach wedding, pool wedding, or any venue or event your imagination can take you. Suitable for both, Cocktail and Main Bar. Definitely a center of attraction in your event. 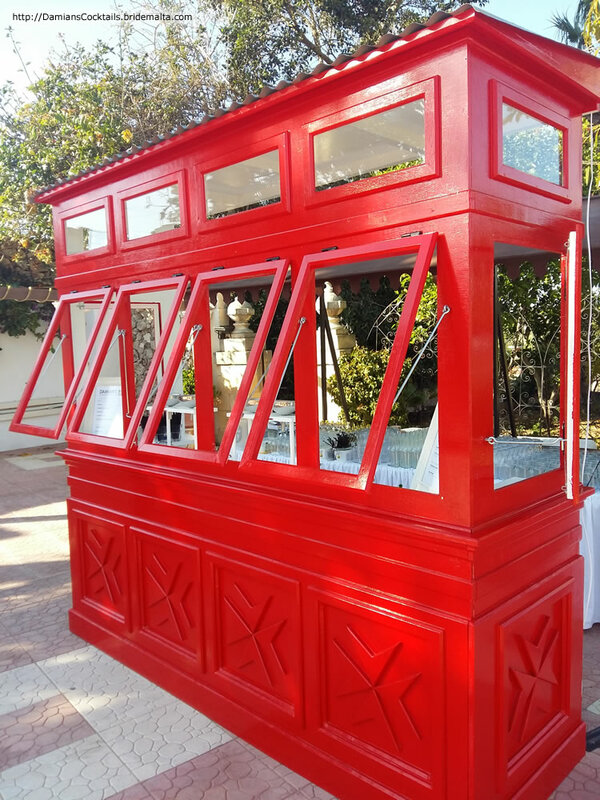 Whether your guests are wine connoisseurs or merely appreciate a good glass of wine, the Wine Hut is a perfect addition to your reception, be it indoor or outdoor. Guests love selecting their ideal wine with the help of a professional sommelier and wine-tasting notes. 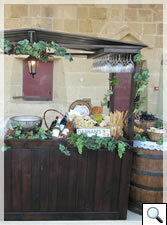 This bar can also be complemented with a cheese table. Elegantly displayed on an original wine barrel, this will include a variety of cheeses, Maltese galletti, grissini, and grapes. 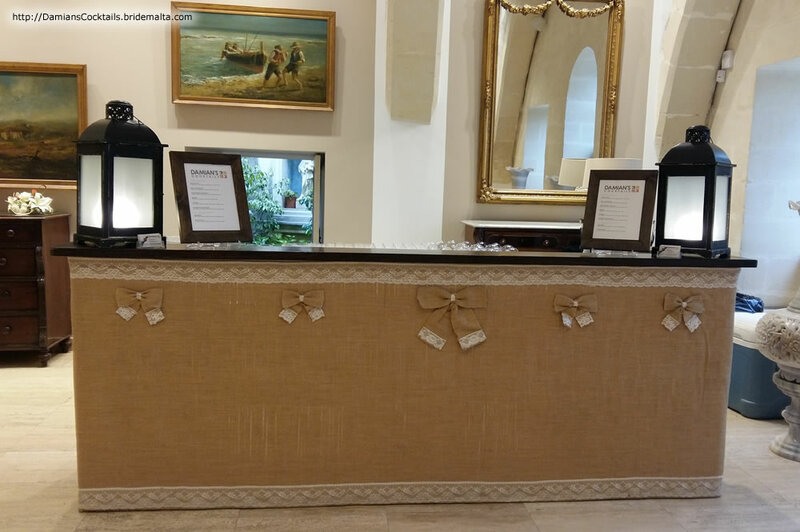 Whatever the reason for celebrating, the Burlap & Lace Bar, or also related to Vintage Bar, offers a unique touch of glamour to your special event. 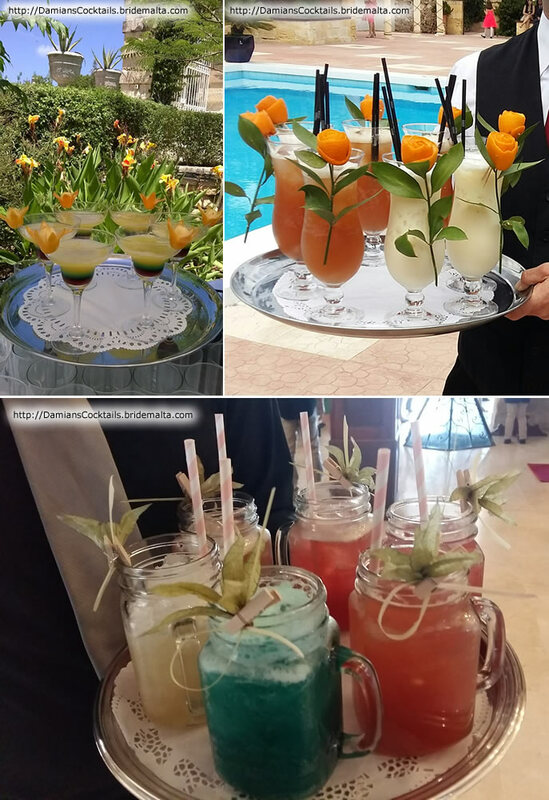 We will lead you through our vast vintage cocktail selection, to create a sumptuous and decadent cocktail menu from the Golden Age of Cocktails to enhance your event with a truly old-fashioned touch. This ultra-contemporary bar is a reflection of modern trends. 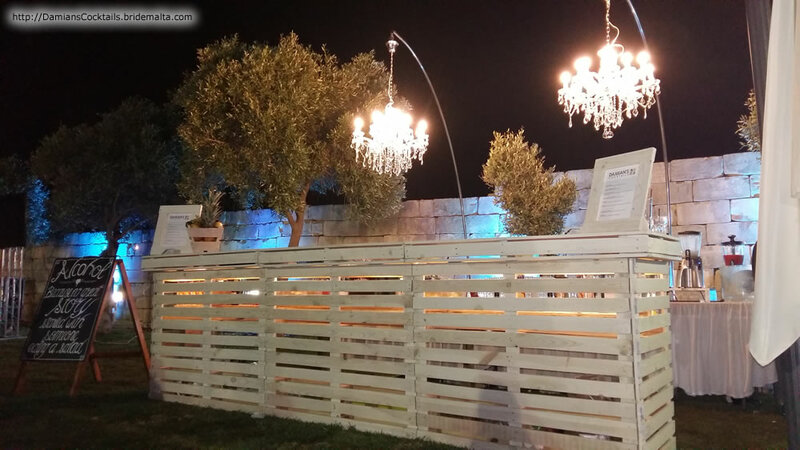 Its white glowing aspect, modern, sleek and stylish elements comply with any venue. 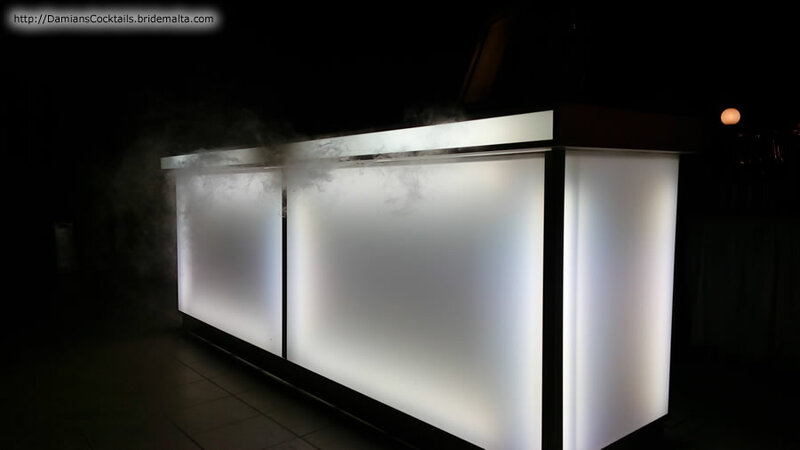 The smoky bar literally smokes up your event with its unique smoke effects, and definitely makes partying a whole lot of fun. A Bar with a difference. Whether you call it 'shabby chic’ or move on to ‘country chic’, there’s a relaxed décor style that’s heavily trendy. Crafted in our workshop, the end result of this bar is achieved by an elegant overall cottage style effect. 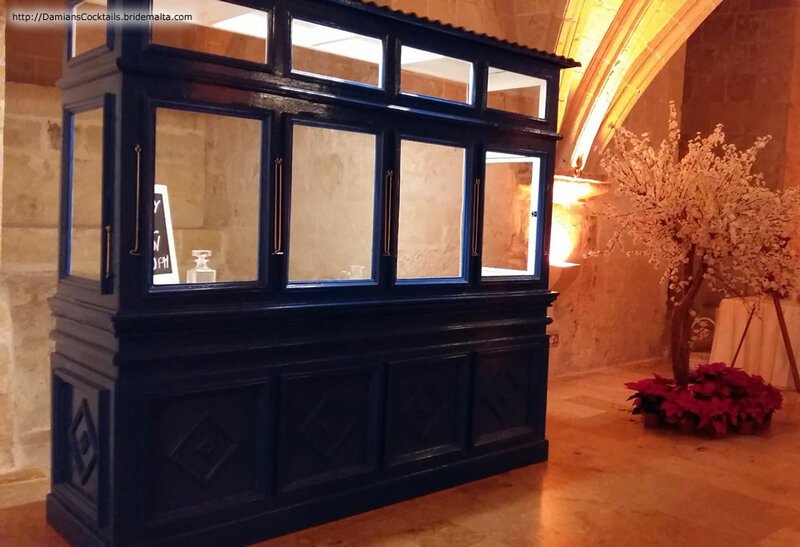 As with all luxuries, a cocktail or wine bar is an indulgence that shows your guests that you've gone that extra mile to make their experience a truly memorable one. Once you've met our energetic and easy going team and sampled their creations, you'll know exactly what we mean. 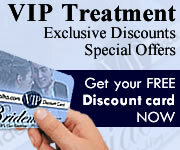 ..... where service and quality are our priority! This page has been visited 28328 times.